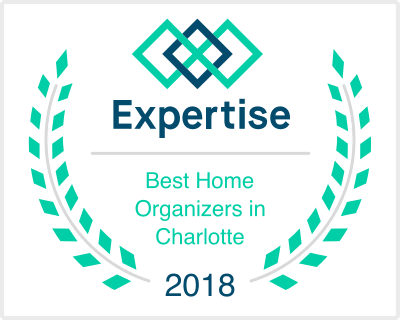 Chaos to Calm is a North Carolina based move management company that provides custom solutions to people who are in need of a home transition. We offer a full spectrum of services including: move management services, certified senior services, home and estate clean-outs, and professional organizing. We are dedicated to assisting with the emotional and physical aspects of a relocation and/or redefined living in a current home. Our mission is to alleviate feelings of stress, overwhelm and uncertainty people faced with a home or estate transition so often incur. We manage each piece of the process with care and compassion so that the client experience is as calm as possible and they are left with the comfort of a perfectly suited new home environment. Our CALM team brings a passion for what we do combined with tender loving care that clients feel the minute we begin working. CALM is not only in our company name, but in each of our titles to reinforce how committed we are to bringing calm to their chaotic world. If you have what it takes to become a CALM team member, we invite you to apply for one of our open positions; Calm Specialists, or Calm Coordinator. Calm Specialist: The ideal candidate for a Calm Specialist is an energetic, self-starter with a true love for people (especially seniors) and creating environments that are “calm” because they are well organized and suited to the client’s lifestyle and needs. The ability to work independently and in a team environment is imperative. Professionalism and an unwavering commitment to providing an exceptional client experience are always required. Calm Coordinator: The ideal candidate for a Calm Coordinator is an energetic leader with a true love for people (especially seniors) and creating environments that are “calm” because they are well organized and suited to the client’s lifestyle and needs. Professionalism and an unwavering commitment to providing an exceptional client experience are always required. The Calm Coordinator is primarily responsible for planning and leading client relocations, home organizing and estate clean out jobs, through to successful completion.